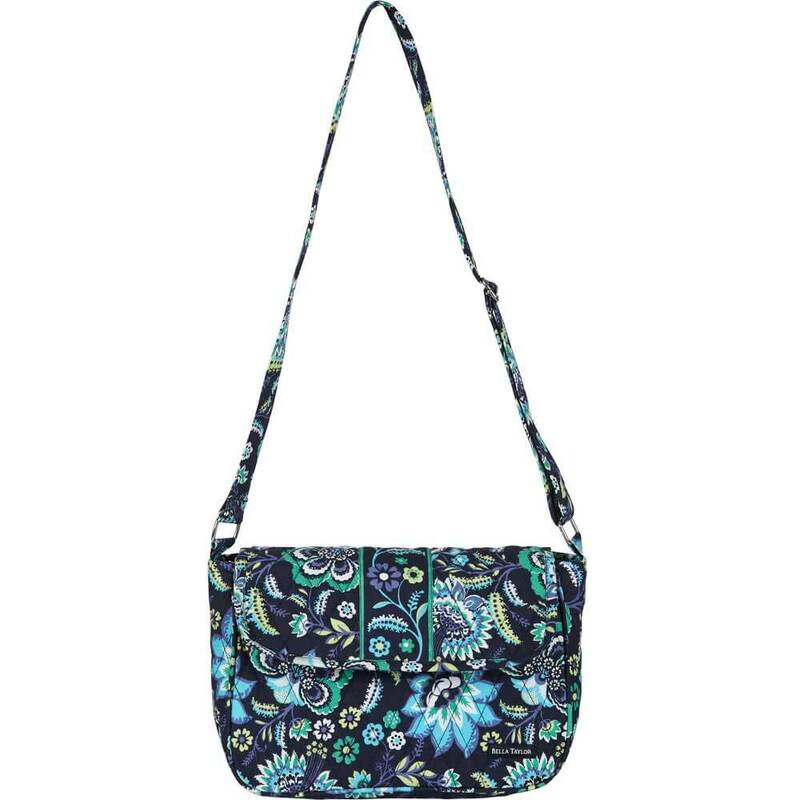 Wear over the-shoulder or crossbody for active, comfortable style that moves with you. Made from a 100% cotton with foam batting, all stress points reinforced. Base-10.50in x3.25in . Height at center-7.50in . Features 1-outside zip pocket, 1-46in adjustable strap and a magnet closure for main compartment. Hang tag gives all product specifications for retail display. The zipper puller features the Bella Taylor brand name. Packaged individually in a self sealing poly bag with Child Safety and UPC sticker.